Bali as a travel destination has come up in recent years and lots of people are travelling to this destination these days. Bali is famous for its forested volcanic mountains, coral reefs, rice paddy fields and beaches. Bali is also famous for its temples. 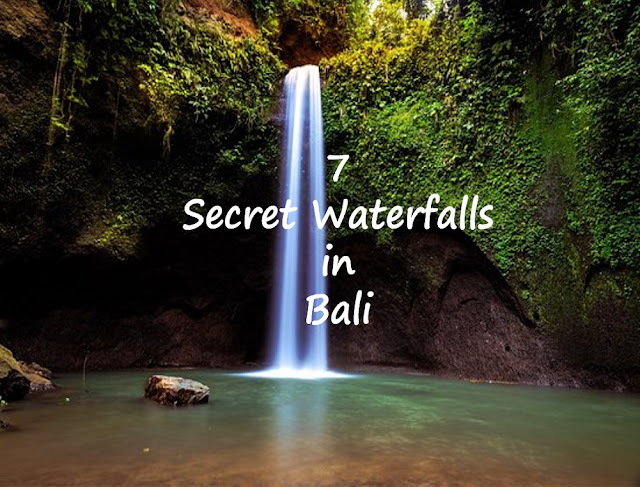 People generally travel to Bali to enjoy the beaches and the coral reefs, however, very people know that Bali is home to various secret waterfalls which are not frequented by the tourists. Bali is still largely unexplored by the tourists as most of them stick to the main areas.There are lots of places which are not much frequented by the tourists. For enjoying the true nature of the waterfalls it is not advisable to go during the monsoon season as the waterfall will be flooded and it will be extremely dangerous to swim in the waterfall. The waterfalls can be best enjoyed when the water is low i.e mainly during the summer or winter season. In this blog post, let's look at a few secret breathtaking waterfalls which you shouldn't miss if you are planning a trip to Bali. Tibumana falls is a hidden paradise which is just 30 minutes drive from Ubud. After you get down off your vehicle you have to walk for 10-15 mins to reach Tibumana falls. You can get directions from locals and this is a well-known waterfall among the locals. The fall inside the jungles and is hardly frequented by the tourists. You can enjoy the natural tranquillity here and can enjoy nature to its truest self. You can hire a local car for approx 5,00,000 Indonesian Rupiah ( approx $40) for a full day tour. Don't forget to carry your camera here as you will get lots of opportunities to click beautiful photographs. This is one of the most unique waterfalls in Bali for the reason that this waterfall splits into two parts and the volume and speed of the water are different for both the parts. The waterfall is surrounded by jungles. 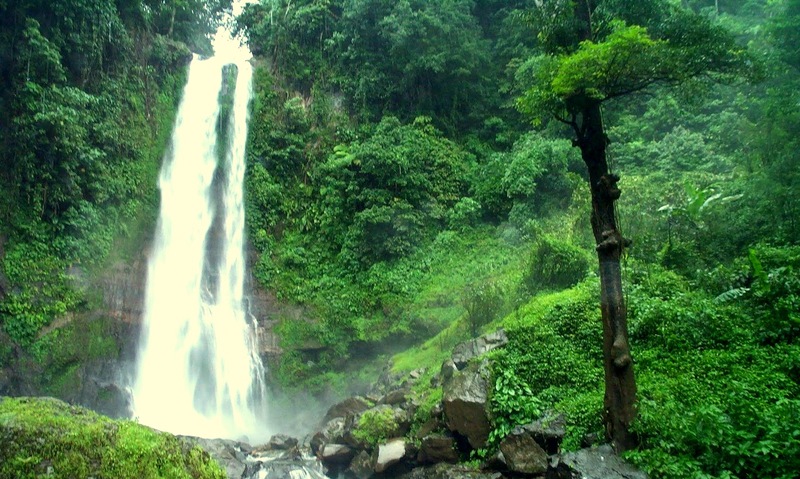 The Aling Aling waterfall can be accessed from Singaraja Town or Denpasar. If you are visiting from Ubud then its a 2.5 hrs drive. 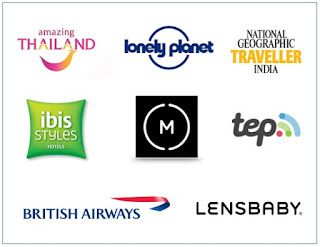 You can either book a day trip or hire a car from Ubud. The cost of hiring a car will be approx $40. If you have 1-2 hours then it's enough to enjoy this beautiful waterfall. 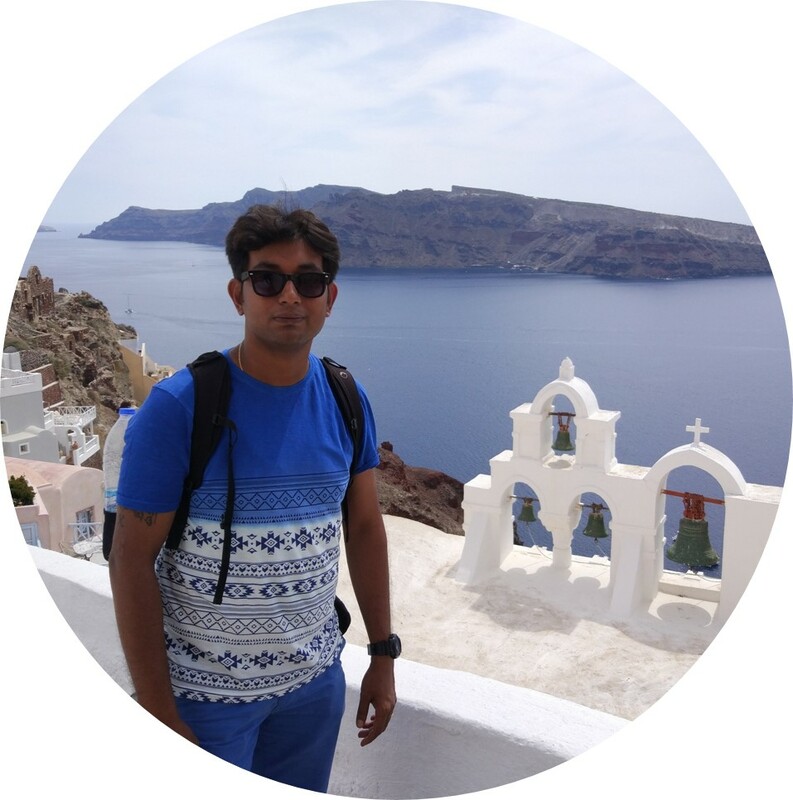 Suggest you visit early in the morning so that you can have the entire waterfall for your self and enjoy its true beauty devoid of any people around. 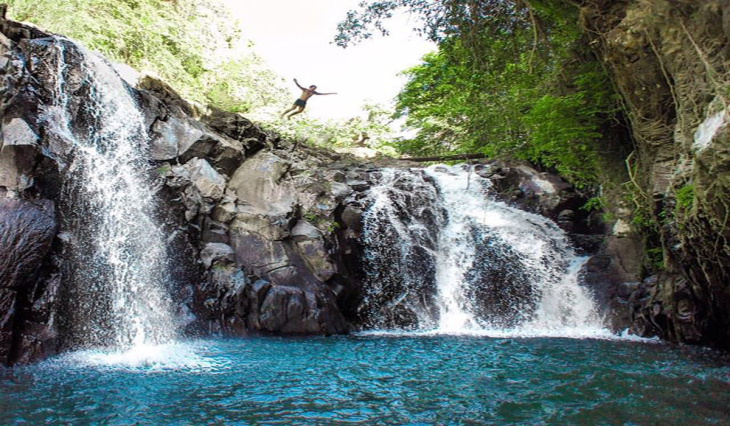 If you are adventurous enough then try the natural slide at the waterfall to dive into the pool. 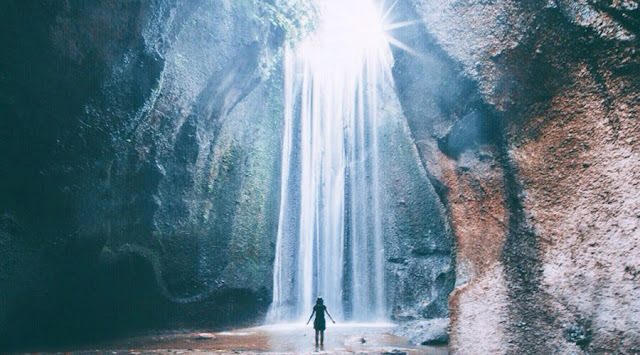 Tukad Cepung waterfall is a hidden waterfall in Bali which is approximately 1 hours drive from Ubud ( 30 Km). This is one of the best waterfalls in Bali and shouldn't be missed. When you reach the cave don't get disheartened if you can't find the waterfall. The waterfall is hidden behind the cave. The waterfall is not visible when you reach the river. Once you reach there, walk through the cave to get inside and get a view of the waterfall.The waterfall can be seen behind the big wall which looks like a cave. The waterfall should be visited during the afternoon when the sun is right above. The light which you will get is magical during this time of the day. 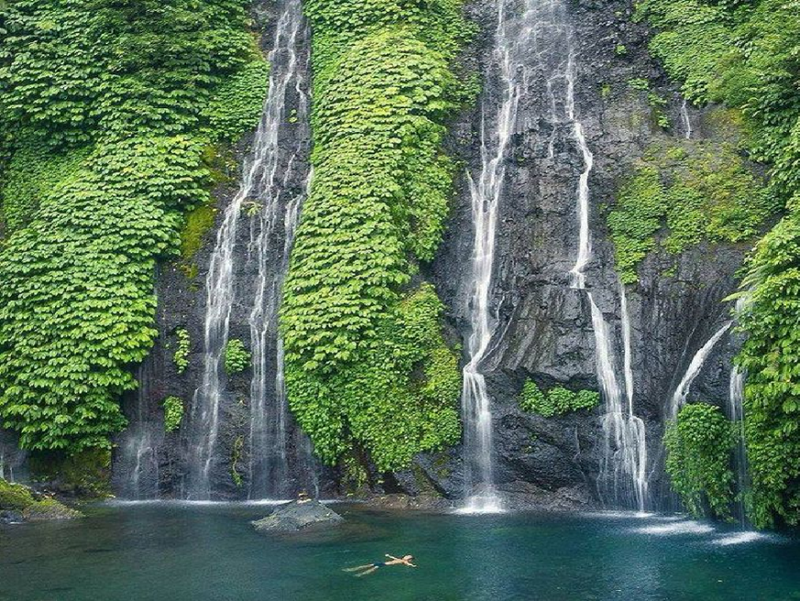 This beautiful waterfall is just 35 km from Ubud and can take you there in an hours drive. This waterfall is situated around 900 feet above sea level. You can take a dip here in the pool below the waterfall. To get to the waterfall you have to climb down 500 steps which can be a bit challenging for some. It might become a bit tiresome to climb up the stairs. 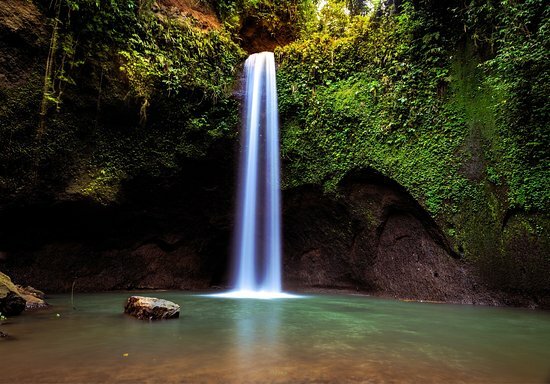 Banyumala waterfall is approximately 60 km ( 1 hr 45 mins drive) from Ubud and is situated in the northern region of Bali. This waterfall is located in a valley. You have to walk down the stairs to reach the waterfall. There are three sides of the waterfall. The largest waterfall is in the center. The smaller ones are on both sides of this center waterfall. The waterfalls to make a beautiful pool. This pool adds to the beauty of the waterfall. You can easily swim in the pool of the waterfall. Tegenungan Waterfall is extremely close to Ubud and can be reached in 30 mins from Ubud. This waterfall is not so secret and you will find lots of tourists here. To get to this waterfall you will have to go down approximately 200 stairs. The waterfall is surrounded by greenery and the water is extremely clean. So you can bath in the waterfall. Just ensure you don't take bath during the rainy season as there is a risk of flash flood. The waterfall is famous for heavy water flow. 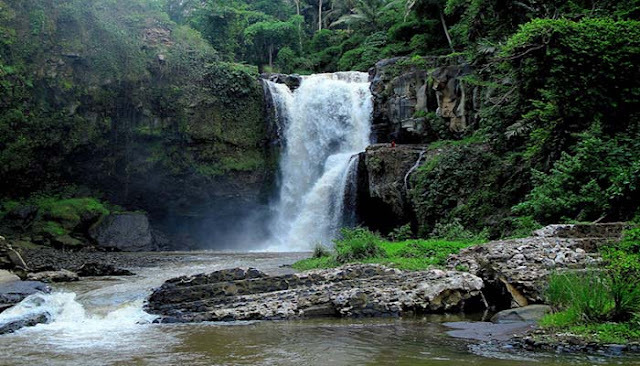 Gitgit waterfall is an approximately 2hr30mins drive from Ubud and is situated approximately 70 km from Ubud. The Gitgit waterfall is one of the most popular waterfalls in Bali. There is a small shrine near the waterfall and looks very serene. The locals call the waterfall twin falls or Air Terjun Kembar Gitgit due to the waterfall splitting into two with equal streams of water flow. The falls are also referred to by the locals as the ‘twin falls’ or Air Terjun Kembar Gitgit, due to its flow that is often split into two equal streams. If you’re game, you can further explore another fall nearby, namely Mekalongan, which is a part of Gilgit's waterfall course. Next time you go to Bali don't miss these secret and exciting waterfalls and if you happen to discover few more secret waterfalls don't miss to share it with shoestring travel.